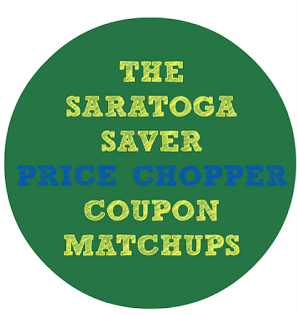 Price Chopper Weekly Coupon Matchups 9/25-10/1! Shady Brook Farms Frozen Turkey Breast $0.99 lb. PC Drum Sticks, Thighs or Whole Frying Chicken - $0.99 lb. Honeycrisp Apples - $1.88 lb. Northeast Grown Tote Bag Apples - $1.49 lb. PC Black Forest or Off The Bone Ham - $6.99 lb. Sara Lee Angus Beef Roast - $8.99 lb. 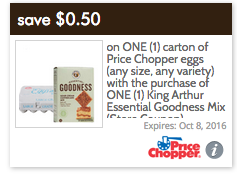 + saving star Save 40¢ ON any ONE (1) Lipton® Tea Bags, K-Cup®, Liquid or Powdered Iced Tea product.Expires 10/23/2016.Save $0.40. + saving star Save $3.00 on any TWO (2) TRESemmé® Shampoo or Conditioner products (excludes trial and travel sizes)..Expires 10/9/2016.Save $3.00. There is an ecoupon (I think it's new) for $1.25 off 3 cans of Furmano's tomato. It's a manufacturer ecoupon, not a price chopper. But still stacks well with the $.88 sale this week.